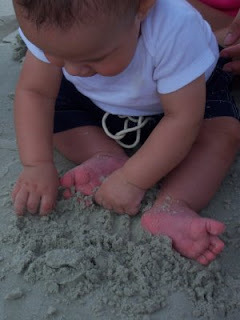 Spencer also managed to sneak a trip to the beach the Monday before the wedding! 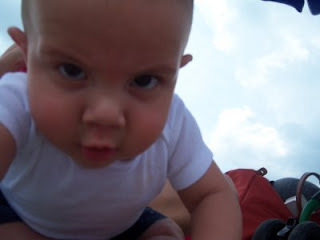 But mommy is a slacker and those pics are now a week old. 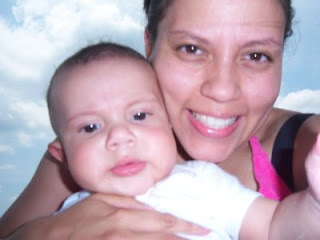 What does mommy do with her days?? 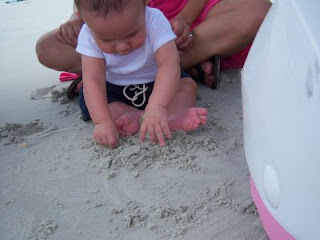 Anyway, here he is getting his first taste of the beach. 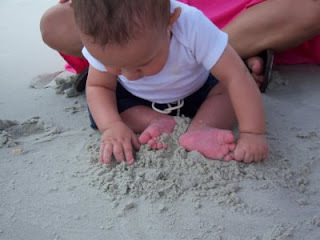 He enjoyed the feel of the sand in his fingers! He also like the water until a teeny, tiny wave rolled in and scared him! Thankfully there are no pictures of that! !